Welcome to Carlos Fiesta's Cancun Expo! 1. 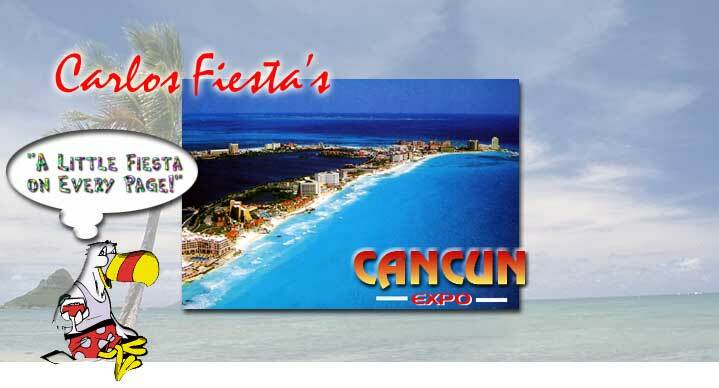 Research all of your Cancun Mexico vacation options in the Cancun Expo web site. 2. 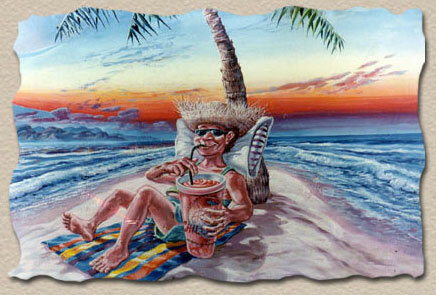 Click on the Pleasant Holidays FREE VACATION QUOTE for an easy vacation quote. 3. Pick your vacation air / hotel / car options and book your Cancun vacation on-line! Bringing pets to Cancun can add plenty of joy to your trip, but along with the extra fun are huge responsibilities. This is a good example where just a little information can go a long way towards making your visit safer and more enjoyable. Taking pets to Cancun is not common, but it can be done. Most of the people who take pets to Cancun are either driving down or staying down for extended periods of time. That carefree vacation to Cancun without a pet can be a high anxiety excursion when the family pet is brought along. Having said that, Carlos Fiesta knows that some people like their pets more than they like their spouses and that it is inevitable that they will be bringing Fluffy or Fido along for the trip to Cancun. On drive down trips it can make sense to bring 'em along. On fly down trips it's usually more trouble than most pet owners are willing to deal with. Bringing a dog or a cat into Mexico requires a contentious effort on the part of the pet's master (that would be you) to plan the daily routine with the pet in mind. Much of Mexico is hot and an animal left in an enclosed vehicle or RV for extended lengths of time may not stay alive too long unless proper care is provided. In some of Mexico's villages and towns food laced with poison is occasionally distributed around town to thin out the growing population of stray animals. It's only natural for pets to try to eat these treats without understanding the dire consequences. Keeping your pet on a leash is one way to prevent such an accident. If your pet is a fussy eater it can be a good idea to bring along enough food for the duration of your trip. The big supermarkets in most of Mexico's larger cities carry dog and cat food, but they may not carry the brand you pet has a hankering for. When in doubt, bring it south. Bringing along enough water for the pet to drink on the trip is another good idea. Although most pets have a hearty intestinal system and can handle foreign bacteria found in some of the water, some animals can catch a bit of the 'touristas'. Play it safe. As a country Mexico does not generally enforce the laws about bringing pets into the country. Yes you can bring along papers showing that the animal is in good health and free of rabies, but the likelihood is small that you will be asked for these documents while you are traveling. Coming back into the Unites States after a visit to Mexico requires a chat with the good folks at U.S. Customs at the border, whether or not you have a pet with you. These hard working people have a lot on their plate when you finally pull up to their inspection booth, including the search for drugs, booze, bombs, cash, fireworks and illegal aliens. With these important items being such a high priority for these inspectors it is a rare case where a pet owner is asked for any health papers when crossing the border. But if you want to be safe it never hurts to bring your pet papers along. Cancun visitors who want to fly a dog or cat down need to check with the airlines for current regulations. Don't count on Fluffy or Fido sitting in the cabin with you on the flight down. To summarize if your pet is a very important part of your family don't let the guidebooks talk you into leaving the animal at home. Yes, it's a lot more work to bring 'em along but some pet owners think it's worth the trouble! For information on bringing the kids to mexico visit our BRINGING KIDS TO CANCUN section.